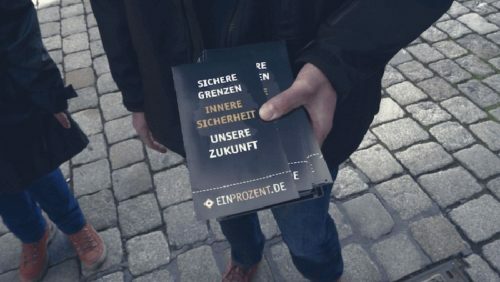 The basic strategy was to prominently display the Ein Prozent banner in high-traffic areas while handing out information flyers to passerby. Different locations included prominent shopping areas and city centers. Rather than trying to hold a large rally, organizers opted for small teams that could target different locations throughout Germany for maximum impact. In one German city, the group managed to hit four locations, from department stores to the city center. Due to the prevalent “Antifa” presence, which likes to disrupt and attack patriots in Germany, the details of the event were largely secret. The “Antifa” groups have a long history of agitating and violently confronting anyone opposing the continued invasion of Germany by Third Worlders. This was especially apparent during the last state election cycle in March. It is also interesting to note the cultural differences between East (former DDR) and West Germany. 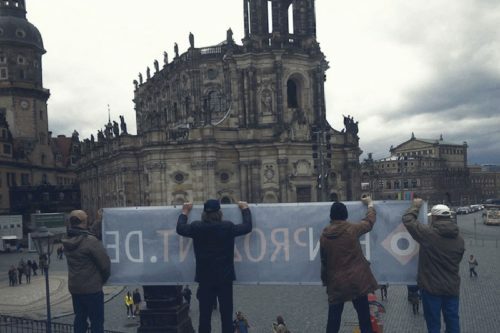 For example, a Dresden PEGIDA rally will get thousands of people marching through the streets. But an attempted PEGIDA rally in Stuttgart or Mannheim would likely see only a few PEGIDA supporters and hundreds of Antifa. Nonetheless, that did not stop German patriots last weekend. 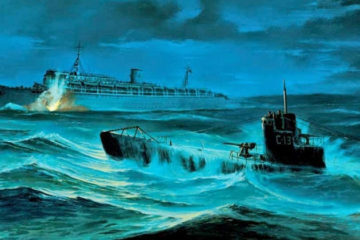 Given the German media’s blatant bias and disdain for people opposing the invasion, the strategy was a successful way to get the message directly to the people. The average German’s trust in the media is very low right now, especially after the Cologne attacks on New Year’s Eve. Hence, it is a good time to be spreading this message and bypassing traditional media altogether. Patriots throughout the West can utilize this basic strategy. It only takes a few people to hit the streets and broadcast the message. With a small group of four people, two could hold up a banner and two could pass out information flyers. You could follow this strategy anywhere, from a little village in England to the streets of New York. As trust in the political establishment falls, the opportunity to recruit others into our ranks grows. The time is now. 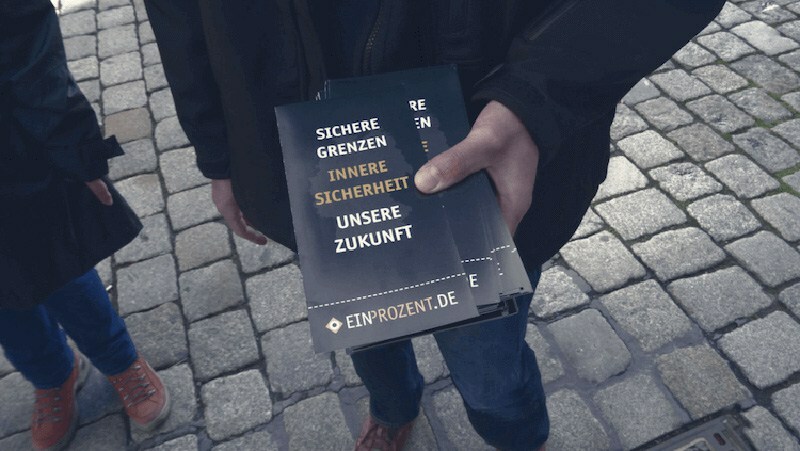 Tags:Controlled mediaGermansGermanyInvasion of EuropeNon-White Invasionpatriots.